At some time in the past, you started your first business. No matter when it was, we’re guessing that there were a lot of surprises waiting for you when you began. Maybe you didn’t realize the difficulty of offering your employees benefits. Or perhaps it was something simpler, like you didn’t know how often the floors would require polishing. For many people who own a property, they never thought about the upkeep of the lawn and how important commercial lawn care would be to them. Having a business can be like owning a second house, in that lawn mowing and landscaping end up taking up a lot of time. The fact is, there are many, many things that you have to deal with when owning a business. Some of them are things that only you can decide, and that’s why you should focus on those particular problems. You need to deal with the books, focus on hiring the right employee, and training them effectively. But while taking care of lawn maintenance shouldn’t be your primary task, it is vital to the success of your company and should be something that you have handled by professional commercial lawn care experts. Here are the aspects of landscaping that you don’t have to deal with when you hire professionals, allowing you to tackle aspects of your business that are specific to you. Perhaps the grass is the most obvious aspect of commercial landscaping, if only because it needs to be cut so often. In general, grass needs to be mown in the DFW area about every week if it’s getting proper watering. If it’s not getting enough water, it might be short but can go dormant and look bad for your customers. 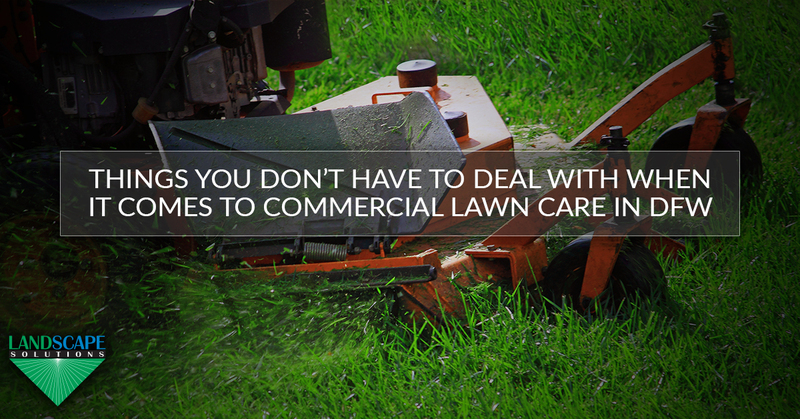 If the grass gets too long, customers subconsciously feel that you don’t care. Instead of taking care of the lawn mowing yourself (and having to find a place to store the mower on the property or drag it from home every week), why not let a commercial landscaping company show up, mow it in a much shorter amount of time, and be on our way — and out of the way of your customers — before you know it. 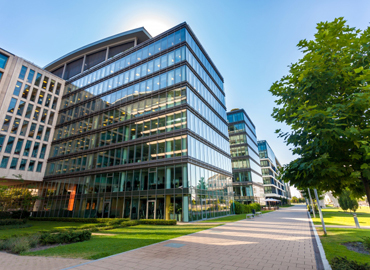 When we talked about lawn mowing up above, we briefly wrote about how keeping your lawn freshly mowed can influence your customer’s views of your business before they even enter the building. A lawn weed control service can provide similar benefits. Why can weeds be so harmful to your DFW business? Weeds simply look messy. They give a customer (or potential customer) the idea that you don’t really care about your lawn. After all, if you can’t deal with a few weeds, how are you going to provide them with the high-quality service or product — whether it’s food or hairdressing or tires — that they’re looking for? Lawn fertilization is harder than most people realize. When done properly, the type of grass is identified, soil tests are done, and the right type of fertilizer is used during the right season on the right type of grass. It goes well beyond heading to a big box store and grabbing the fertilizer with the most appealing bag. As we keep saying again and again (because it really is important), customers want to see a nice lawn and will actually feel better about your business when they do. Professional lawn fertilization service can make this happen. Using the right type of fertilizer is important, but it’s also important to not overuse the fertilizer. Overuse of a fertilizer can cause chemical burns to the grass and damage the beneficial microbes of the soil. 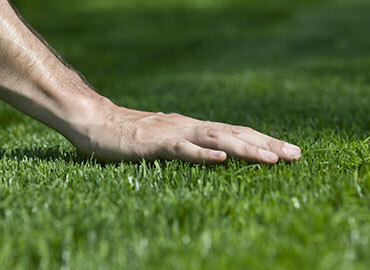 Seek out the right lawn care service and your grass can do more with less. Leaves turn color and fall off in the Dallas area much like they do in other parts of the country. As the days get shorter and the weather gets cooler, many trees will stop sending water to their leaves. The leave’s colors change and then they fall to the ground. Of course, that means that someone has to rake them up! You could probably do it yourself, but not all leaves drop at the same time. So week after week you’ll be raking them up, and, as we said before, you should be focusing on other aspects of your business that only you can deal with. Leaf removal is pretty simple for us, because we have the equipment to get it done in a short amount of time. Again, it’s incredibly important that your customers aren’t disturbed or made to feel uncomfortable while commercial landscape maintenance is going on. We can take care of it so quickly that you might not even know we were there. While grass is a permanent part of your landscaping, it grows so quickly and can be replaced so easily that most people don’t think of it as such. Trees, on the other hand, are definitely permanent aspects of your property and are very difficult to replace should something happen to them. There are more reasons to prune a tree than can be listed here, but in general a tree is pruned in order to remove disease, give it a desired shape, or remove damaged branches. Our commercial landscaping service can handle all of these and keep your trees as healthy as possible. When sprinklers work, they’re great! 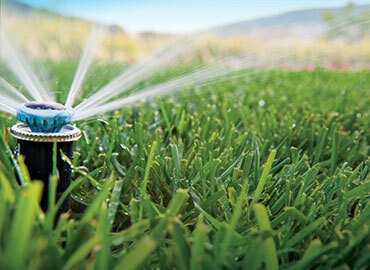 Unfortunately, a lot can go wrong with a sprinkler system, and they often need constant repair. Control boxes are susceptible to electrical problems, sprinkler heads break, and the control valves can crack. Instead of messing with them for hours and neglecting other aspects of your business, why not let professionals take care of your irrigation system in Dallas/Fort Worth? It’s important to remember that a properly working sprinkler system isn’t the end goal; green grass is. But getting green grass and plants don’t always require a huge amount of water. Smart irrigation systems can get you the grass you want while using less water, which is good for the bottom line and the planet. We can’t stress this enough: you have better things to do with your time and energy than to worry about your lawn mowing and landscaping in DFW and Plano. But at the same time, you really can’t forego professional lawn services, because your customers want to see a well-manicured lawn that’s inviting to them whenever they stop by. Let us take the worry from you and handle everything. From tree trimming to weed control to lawn fertilization service, we’ll ensure your lawn and all of your landscaping looks as good as possible. Contact Landscape Solutions for your commercial lawn care needs!